When you first start future planning for your child with special needs, he or she might be too young to get involved in the many decisions you have to make. As time goes by, your child may express strong preferences about aspects of their lives, or ask questions about the future. Your child can be a part of future planning if you listen to these preferences, answer these questions, and incorporate them into the letter of intent, trustee choice, guardian choice, and more. Probably the most important way your child can get involved in future planning is through the letter of intent. 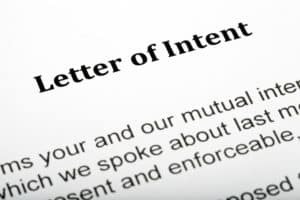 A letter of intent describes your wishes for your child, but it also explains your child’s specific preferences and needs. Many of the suggested questions to address in a letter of intent have answers that only your child can tell you. Often your child will not tell you these things verbally. Your child’s day-to-day food selections or moods may explain more than the words he or she says out loud. When writing a letter of intent, take the time to observe what your child wants and write it down. One of the great worries for parents of children with special needs is that someday the parents will not be able to care for their children. A guardian will never replace parents but would be the child’s primary caregiver and supporter. As part of your future planning, talk to your child about trusted relatives and friends to determine if they would be good guardians. Your child may get along well with a sibling who is well-suited to be a potential future guardian. Or your child may tell you that certain people will not be appropriate as guardians. Either way, you can incorporate these preferences in when you sign a short-term guardian designation or pick a successor guardian. Similar to choosing a guardian, your child may have ideas about who should act as trustee of his or her special needs trust or other type of trust. Maybe your child does not want a brother or sister as the trustee, or there is a particular relative who gets along very well with the child. Listen to what your child says about different people and take it into account when choosing a trustee.